In this provocative tell-all, David Gushee gives an insider's look at the frictions and schisms of evangelical Christianity, based on his experiences that began with becoming a born-again Southern Baptist in 1978 to being kicked out of evangelicalism in 2014 for his stance on LGBT inclusion in the church. But Gushee's religious pilgrimage proves even broader than that, as he leads his listener through his childhood experiences in Roman Catholicism, his difficult days at the liberal Union Seminary in New York, his encounters with the Christian Right, and more. In telling his story, Gushee speaks to the cultural divisions of a generation, as well as of today, and to those who have themselves been disillusioned by many battles within American Christianity. As he describes his own struggles to find the right path at different stages of his journey, he highlights the turning points and decisions that we all face. When do we compromise, and when we do we stand our ground? Is holding to moral conviction worth sacrificing friendship, jobs, and security? 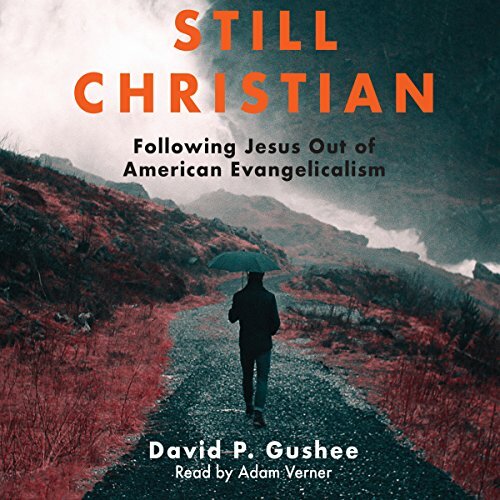 As he takes us through his sometimes-amusing, sometimes-heartbreaking, and always-stirring journey, Gushee shows us that we can retain our faith in Christ even when Christians disappoint us. If you have any questions about this product by Mission Audio, contact us by completing and submitting the form below. If you are looking for a specif part number, please include it with your message.